A history of the Second World War that covers all the war fronts, the fighting on land, at sea and in the air, the activities of resistance and partisan groups, espionage, secret intelligence, strategy and tactics, war leaders, generals, admirals and air marshals, individual acts of heroism on all the war fronts and behind the lines, the fate of prisoners of war, the bombing of cities, the submarine war, and the aftermath of the war. 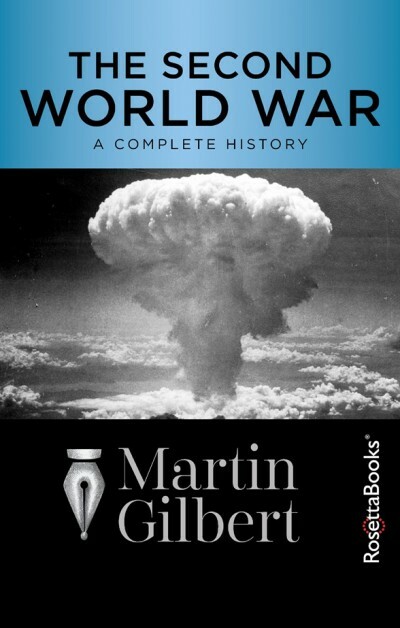 The first history of the Second World War in which the fate of the Jews and of the many other civilian victims is an integral part of the war narrative. Sir Gilbert put more in one paragraph than most authors put in a chapter. It was a quick read, but, informative. I enjoyed his following a date outline. He would follow important dates from Western Europe, then Eastern, then to Asia to Africa. Then, for all time no one will be able to cast aside the evil, the lack of human empathy Nazis had for all humanity especially the Jewish people. I was heart broken, mind numb over the vile attitudes Nazis had for Jews. ... If someone told me they doubted the Holocaust I would give them this book to read. Thank you and I thank God for Sir Gilbert's heart and talent as a writer."